Chief Justice Lucas P. Bersamin was appointed an Associate Justice of the Supreme Court on April 2, 2009 by President Arroyo. He was then sitting as a Member of the Court of Appeals, to which he had been appointed on March 10, 2003 also by President Arroyo. Prior to his stint in the Court of Appeals, he had served as the Presiding Judge of Branch 96 of the Regional Trial Court Judge in Quezon City continuously since November 5, 1986. 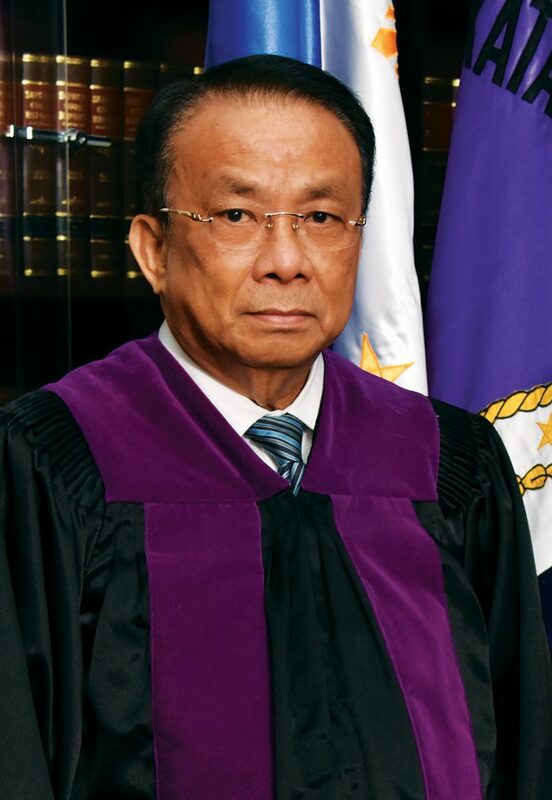 Chief Justice Bersamin hails from Bangued, Abra, where he was born on October 18, 1949 to the late Dr. Luis F. Bersamin, Sr., a World War II veteran and survivor of the infamous Death March involving the captured Filipino and American soldiers and the late Dr. Rosario Purugganan-Bersamin, a pharmacist and educator. His father was elected Provincial Governor of Abra after the conclusion of World War II. His oldest brother was the late Cong. Luis P. Bersamin, Jr., representing the Lone District of Abra. Another brother, Eustaquio P. Bersamin, completed three terms as an elected Provincial Governor of Abra. The two categories of the Best Decision competition were judged separately by two different Boards of Judges on different dates. Noteworthy is the fact that both sets of Judges decided on one and the same winner in both categories, Judge Lucas Bersamin, one of the finalists in the 10th Awards for Judicial Excellence. Judge Bersamin has been gifted with a high degree of intelligence, an incisive and analytical mind, and many other skills. His mastery of the English language, eloquence, clarity of expression and deep knowledge of the law – not to mention his high sense of justice – are clearly manifested in his decisions. The extensive citations and footnotes, the perfect format and presentation, provide an insight about his sense of order and the amount of time and energy he spends preparing his decisions. Judge Bersamin has always been an accomplished person: valedictorian in grade and high schools, a college entrance scholar at the University of the Philippines, and ninth placer in the 1973 bar exams – with a score of 100% in criminal law. Judge Lucas Bersamin has proven himself to be one of the most intelligent, knowledgeable and accomplished officials in the Bench. With his incisive mind he analyzes facts and circumstances with irrefutable logic. Combined with his high sense of justice, intellectual power and mastery of the English language, his decisions make for pleasurable and instructive reading. The extensive citations and footnotes, the perfect format and presentation provide an insight about the extensive research, thought and effort in preparing his decisions. 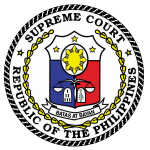 On November 28, 2018, President Duterte appointed then Associate Justice Bersamin as the 25th Chief Justice of the Philippines, to serve as such until his compulsory retirement on October 17, 2019. On the same day, he received the Gusi Peace Prize International at the Philippine International Convention Center in Manila as one of the 16 Laureates for 2018 for excellence in his field of activity or profession. Chief Justice Bersamin is the Chairperson of the Presidential Electoral Tribunal. Prior to his assumption as the Chief Justice, he alternated as a Member of the Senate Electoral Tribunal and as a Member of the House of Representatives Electoral Tribunal, as one of three senior magistrates representing the Supreme Court by mandate of the Constitution. Before joining the Supreme Court, Chief Justice Bersamin was active in the academe, teaching Remedial Law at the law schools of the Ateneo de Manila, the University of Sto. Tomas, the Pamantasan ng Lungsod ng Maynila and the University of the East. He lectured in various law review centers. He was variously a resource person in the continuing legal education programs of the UP Law Center-Institute of Judicial Administration and the Philippine Judicial Academy. He is a fellow of the Commonwealth Judicial Education Institute based in Dalhousie University, Halifax, Nova Scotia, Canada. He has written a book on appellate remedies that is used by law students and lawyers. Chief Justice Bersamin has represented the Philippines in international judicial conferences and learning seminars in the USA, Canada, Switzerland, Germany, India, Japan, South Korea, Thailand and Singapore.